The university’s mission to expand medical training in the Valley and remain at the forefront of medical education. The scope of Work Drawing Review, Submittal Review, On-site QA/QC and Reporting and Commissioning of the Building Envelope including Static Pressure Water Infiltration Testing per ASTM E1105 and Diagnostic Nozzle Water Testing per AAMA 501.2. 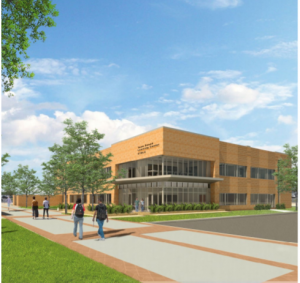 The University of Texas at San Antonio Science and Engineering Building is the largest construction project in the university’s 49-year history and will be the first new building completed at the campus since the North Paseo Building opened in 2014. 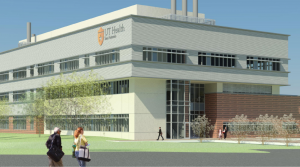 The 153,000-square-foot SEB facility will not only provide a home for world-changing breakthroughs for students and faculty, but it will include laboratory, classroom and collaborative space for multiple programs in brain health, chemical engineering, biology, and chemistry. In October 2017, the University of Texas Health Science Center at San Antonio entered a new era of research and discovery after breaking ground on the new and expanded Barshop Institute for Longevity & Aging Studies, a research facility to house top scientists conducting clinical research in aging and neurodegenerative diseases. As one of the world’s premier aging research centers, the three-story,108,000-square-foot project, will house state-of-the-art open research labs, laboratory support, administrative and research faculty offices, and a large vivarium with support spaces to foster innovation and collaboration for tomorrow’s breakthroughs. The scope of Work Drawing Review, On-site QA/QC and Reporting and Commissioning of the Building Envelope including Air Infiltration Testing per ASTM E783, Static Pressure Water Infiltration Testing per ASTM E1105 and Diagnostic Nozzle Water Testing per AAMA 501.2.